Love this! Imad Alarnab, a Syrian chef and refugee living in London, and for two weeks he will be opening his own pop-up cafe, serving traditional food, with the proceeds going to the excellent #CookForSyria charity, in a space provided by Appear Here. It's open from Friday 10th - Friday 24th March, Tuesday - Sunday, with dinner at 7pm and 9pm at £40 per head, and weekend brunch at 11am and 2pm at £15 per head. Please support this! "For two weeks only, Imad’s Syrian Kitchen is opening on the Columbia Road and serving up some of Syria’s favourite dishes. The restaurant has been set up by Imad Alarnab, a Syrian chef and refugee living in London. Back in Damascus, Imad enjoyed cooking for hundreds of people a night. But he lost his restaurants in the war and was forced to flee. 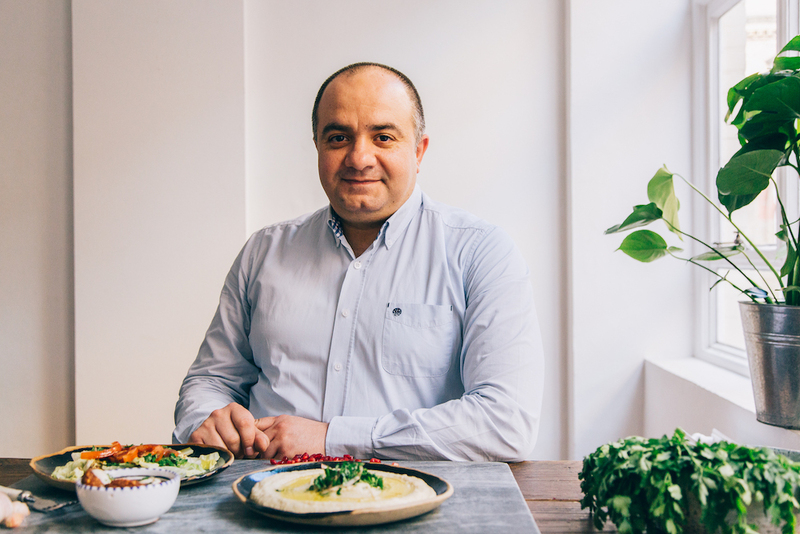 Now living in London, Imad hopes to once again bring people together to enjoy some of his favourite recipes. This will be a family-style supper, with a 3-course set menu designed to be shared with fellow diners. The menu includes many traditional dishes such as Fattoush (toasted flatbreads, pomegranate molasses, tomato and cucumber), Kabsa (spicy chicken with cardamom and rice) and Tabakh Rohoo (aubergine, squash and tamarind stew). There will be vegan and vegetarian options. This pop-up is Imad’s first step towards making his dream of running his own restaurant again a reality."